For those that do not know, the Colonials come into the KFC Yum! Center on Friday as the David battling the Goliath that is top-seeded Louisville. The Cardinals come in making the tournament 11 of the past 12 seasons, beating their opponents by 18.6 PPG and sporting the best scoring defense in the ACC. Along with that, the Cardinals senior class has been prolific, two-time ACC player of the year Asia Durr comes in averaging 21.3 points per game while her and her counterparts come into their final NCAA tournament with a career 120-22 record. This is a team that knows how to win as the Cardinals have done everything short of an NCAA title. 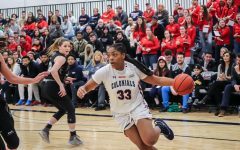 While one could look at the fact that just one 16-seed has defeated a 1-seed in the history of the NCAA women’s basketball tournament, the Colonials choose instead to focus on their own game. “I think we’re a pretty fundamental team. So just like focusing on our defensive principals. I think that will be our strength in this game. 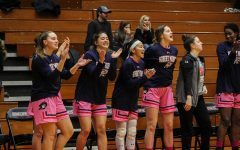 Keeping our own pace,” said sophomore guard Nina Augustin. “We worry about what’s between the lines. Just worry about the game and being able to play strong for 40 minutes,” said Adams. For the Colonials, there game is playing a strong defense and controlling the pace of the game. 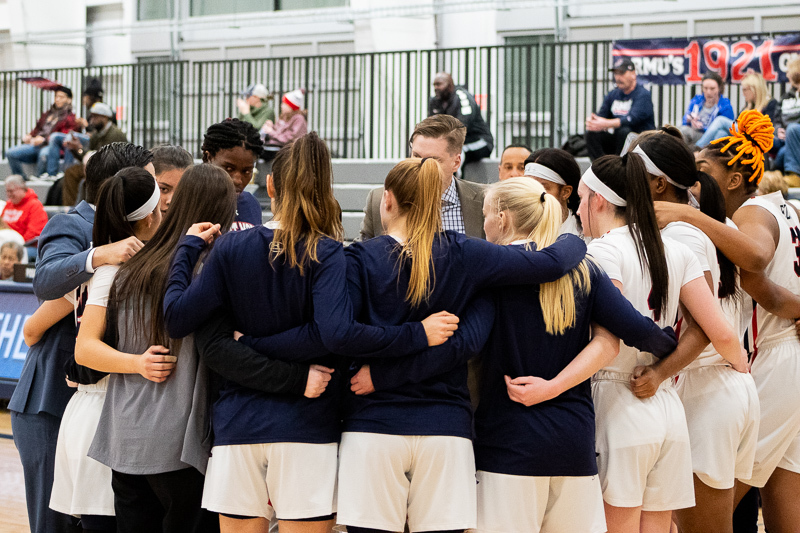 Robert Morris rides into Louisville allowing just 54.8 points per game while also sporting the NEC defensive player of the year and NEC tournament MVP Nneka Ezeigbo. Ezeigbo, the Colonials tallest starting player as 6’2″, averages 1.7 steals per game, 1.4 blocks per game and 8.7 rebounds per game. 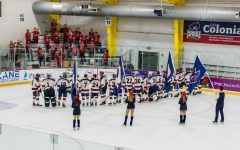 For the Colonials, the match up to watch will certainly be the one between Ezeigbo and senior forward Sam Fuehring. Both Fuehring and Ezeigbo come from New Jersey. Fuehring has accumulated six double-doubles this season while averaging 10.2 points per game. Fuehring is only an inch taller than Ezeigbo but will certainly be the toughest challenge faced by Ezeigbo this season. “It’s definitely going to be a fun challenge seeing something different and experiencing a different level of play.” said Ezeigbo.